What does 2019 have in store for us in the SEO realm? Here are our top SEO predictions and trends marketers should know now and keep an eye on into the new year. After more than a year of experimenting, Google released its mobile-first indexing in March 2018. With over half of all web traffic coming from mobile devices, this move reflects Google’s continued commitment to serving the best quality content to searchers when and where they’re searching. Mobile-first indexing simply means that Google is now using the mobile version of a given page for crawling, indexing, and ranking systems—rather than the desktop version, which had previously been the default. According to Google, mobile-indexing doesn’t provide a ranking advantage in and of itself, and is separate from the mobile-friendly assessment. However, as mobile web traffic has begun to dominate the search landscape, sites need to be mobile-friendly to remain competitive and consistently show up in mobile search results. A poor mobile experience can lead to a decrease in other ranking factors, like bounce rate—as illustrated below. While many search marketers have seen this shift coming, Google’s research showed that “for 70% of the mobile landing pages we analyzed, it took more than five seconds for the visual content above the fold to display on the screen, and it took more than seven seconds to fully load all visual content above and below the fold.” The mobile benchmark they’re setting for load time is under three seconds. All this means that 2019 is absolutely the time to firmly plant your flag strongly in the mobile-friendly camp. This will mean evaluating your web presence, SEO strategy, and content to ensure you’re able to provide the best possible mobile experience. If you’re unsure where you stand, you can start with Google’s Mobile-Friendly Test tool to test how easy it is for your audience to visit pages on your website. The metaphorical cat is out of the bag when it comes to the ease of voice search. One in six Americans now owns a smart speaker, according to TechCrunch. By 2020, Gartner predicts that 30% of web browsing sessions will be done without a screen. Finally, there were over one billion voice searches per month as of January 2018. And with voice search platforms recording an error rate of under 5% with natural language processing (in English, at least) it stands to reason this trend will continue to grow as users find more reliable results. However, the switch to voice search will come with a new set of challenges for marketers—and that’s natural language. As of May 2017, almost 70% of requests to the Google Assistant are expressed in natural language versus typical keyword-based searches like those typed into a search bar. As a result, in 2019 and beyond it will be increasingly important for marketers to optimize and create content that lends itself to voice search. From a technical perspective, the usual suspects of page speed, site security, and domain authority will play an important role here. But at the end of the day, it’s all about ensuring your site content can be easily found via voice search. What will that content need to look like? Backlinko found that the average word count of a voice search result page is a whopping 2,312 words—and those words are written at a ninth grade level. In addition, considering and striving to match search intent will be more important than ever. 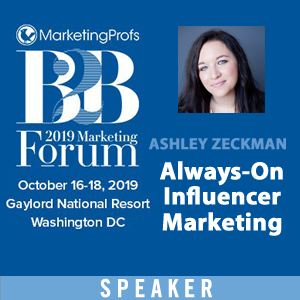 Marketers will need to focus on what we like to call “being the best answer.” This means focusing on answering those question your ideal audience is and will be asking—whether they’re speaking to a smart speaker, smartphone, or web browser. From the two recent Google Plus data leaks affecting over 50 million users to massive data breaches at some of the world’s largest companies, we’re all increasingly aware of the amount of personal data floating about the digital realm. This coupled with an innate distrust in marketing messages—not to mention the “creep factor” of being followed around by ads—consumers and B2B buyers alike are looking for more privacy and protection on the web. For several years, HTTPS has been considered a ranking signal. And Google made their stance on HTTPS encryption well known this year. Ahead of the release of Chrome 68, Google strongly advocated websites make the HTTPS switch by July 2018—or risk their site being stamped “not secure” in the browser. In 2019 and beyond, marketers can expect Google and perhaps other browsers to double down on this. In addition, with new data protection laws like GDPR in the European Union, marketers can expect new privacy and security to take shape. This will certainly continue to impact paid search efforts, as new rules and restrictions will cause platform target changes. And that means that smart organic SEO will see a revival. Of course, GDPR doesn’t technically affect US-based customers, following data protection guidelines can only help your cause in building trust and keeping Google happy. Google is still the king of search. But its market share is being challenged by more traditional search engines with a twist, as well as “non-traditional” search platforms. Case in point: Amazon. A recent eMarketer report shows that Amazon is now the third-largest digital advertising platform, behind Google and Facebook. In addition, according to Kenshoo, a whopping 72% of shoppers now use Amazon to find products, and 56% shared that they typically look on Amazon before any other sites. So, as Amazon search continues to find its legs in the digital advertising market, it’s worth considering their audience size and growth as your finalize your 2019 budget. As for those engines that resemble Google, Bing will continue to be a key player in SEO and paid search marketing in 2019. It accounts for about 22% of the desktop search market in the US and 4.1% of the mobile search market. With their recent rollout of LinkedIn profile targeting, their offerings are becoming increasingly attractive to the B2B market. Finally, alternative search platforms such as DuckDuckGo, StartPage, and Mojeek are growing in adoption—and you can bet that trend will continue in 2019. 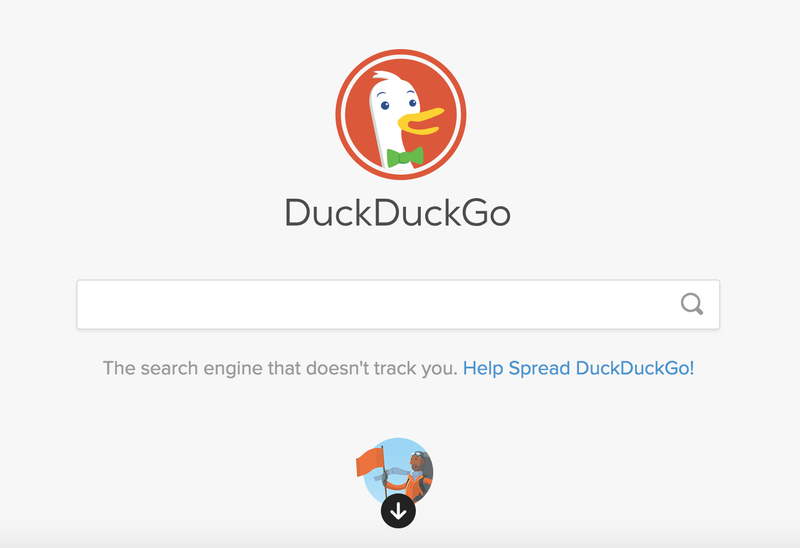 In fact, DuckDuckGo is will hit record traffic by the end of 2018, according to AdWeek. At the time of this post’s publishing, the “internet privacy company” had recorded more than 8.5 billion direct queries in 2018. While Google still reigns supreme, boasting well over half of the search market, marketers need to take note and consider additional platforms when designing their SEO and search marketing (and content) strategies—and no just because usage is rising. If you’re looking to get the most bang for your paid search buck, competition on alternative platforms is much lower right now—making it ripe with opportunity. In 2019, this means that it’s time to double-down on quality content creation. As we mentioned earlier, that quality content needs to meet relevant search intent and strive to provide the best answer for the searcher. But it shouldn’t simply be a concern for brands that are creating content, E-A-T also applies to individual authors. Creating quality content isn’t just a question of long-form or short-form. 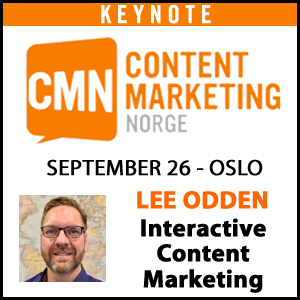 It’s content that’s created with the end-user in mind. High quality content should inform, entertain, or otherwise provide value to those reading it. That’s what ultimately ends up being shared socially, which is another factor in how Google views your content’s trustworthiness. And as internetization continues to proliferate, B2B brands of all sizes have the opportunity to broaden their global footprint. But when it comes to reaching new audiences whenever and wherever their searching, you’ll need a smart global SEO strategy in 2019 and beyond. There are plenty of new and flashy trends to keep us all busy in the coming year, but that doesn’t mean that we should forget about the foundational elements of SEO. The Ranking Factors SEMRush Study 2.0 provides an excellent reminder of what truly matters to Google: Domain authority, direct traffic, content quality and website security. The SEMRush study shows one clear winner in the ranking factors category—direct traffic. This metric is typically a measure of brand awareness, and thus domain authority. Focusing on direct traffic as a KPI for your overall marketing awareness isn’t likely to go out of style any time soon. Another key factor along the lines of domain authority is the amount of backlinks to your site. “Every domain that ranks for a high-volume keyword has on average three times more backlinks than the domains from the three lower-volume groups on the same position,” says SEMRush in the same study. Along with having an authoritative domain, it’s also important to provide quality content. Time on site, pages per session, and bounce rate remain in the top 5 ranking factors this year. Content length is also a factor, as the same study shows that there’s a 45% difference in content length between the top 3 and the 20th SERP position. If you want your content to rank, make it worth reading and engaging with. Using data to understand customer preferences for search discovery and intent will help you optimize content to become the best answer buyers are looking for. As you gear up for 2019, keep these trends—and the basics of SEO and search marketing—in mind. Providing the right information, quickly and in a way that is easy will always be in style. The ways we get there may change with time (or algo updates), but the focus remains the same. Content is SEO’s beautiful stepsister. What’s on tap for 2019 in the content marketing realm? 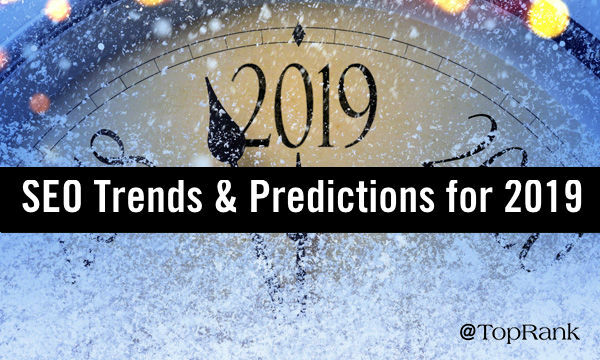 Check out our picks top content marketing trends and predictions to watch in 2019.